Marshmallow Ghost Cookies put all kinds of deliciousness together. Chocolate cookies with a sugary, fluffy topping! Sometimes, after eating a lot of Halloween candy, I think I look like this. Chubby and sugary. I might look like that. 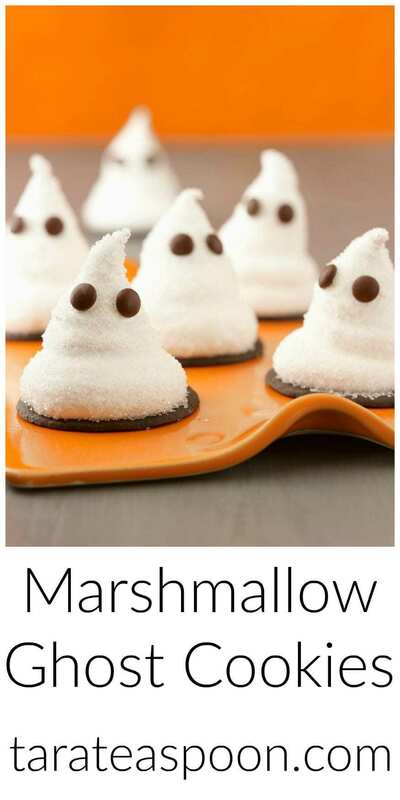 But it was worth it if I got to eat a few of these little marshmallow ghost cookies. And no one tells me I look like that because I have lovely friends. Thank you, lovely friends. Just more reason to eat half (or all) of these by myself. Have a Ghostly Halloween! I made homemade marshmallow for these sweet things, and then piped it on top of store-bought cookies. Sort of a semi-homemade thing! If you’ve never made homemade marshmallow you’re in for a treat. It is the most wonderful tasting sweet in the world. 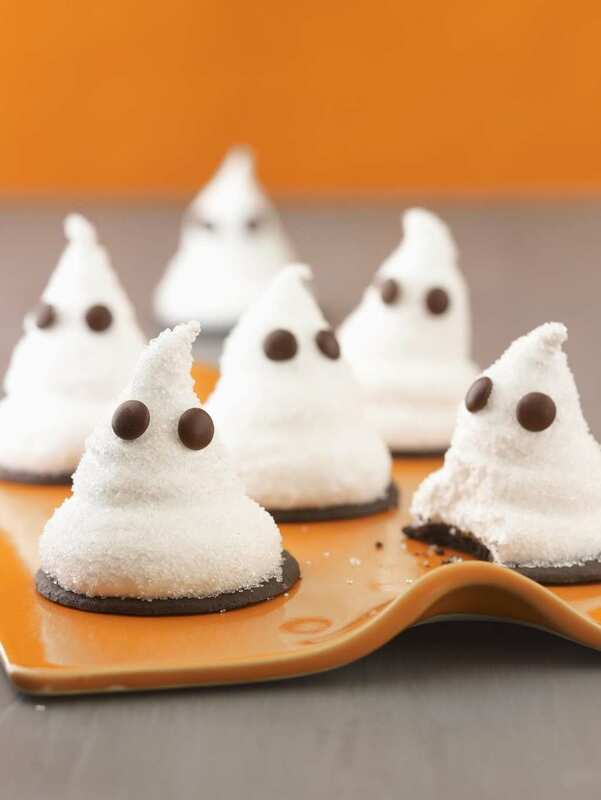 A homemade topping makes these marshmallow ghost cookies a melt-in-your-mouth dream! 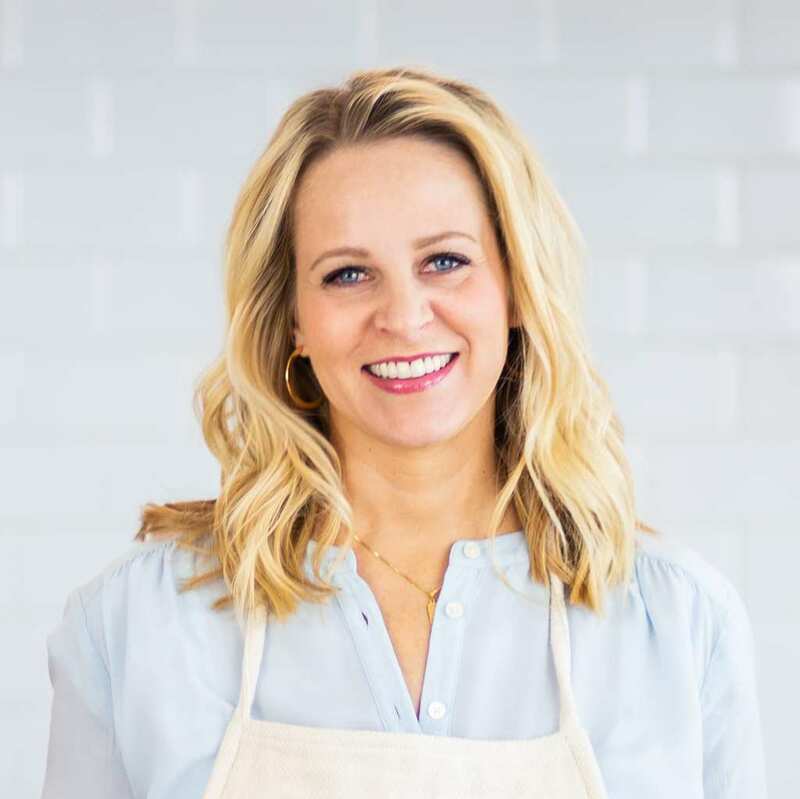 Baking chatter: Yes, you probably need a candy thermometer to make these ghosts. Homemade marshmallow is SO stinking easy…but requires that one gadget. Mini M&Ms make perfect eyes for these ghoulish treats. You attach the eyes right after you pipe the marshmallow so they stick. Then cover the entire thing with crunchy crystal sugar. Homemade marshmallow is soft and easy to pipe into ghoulish ghosts! 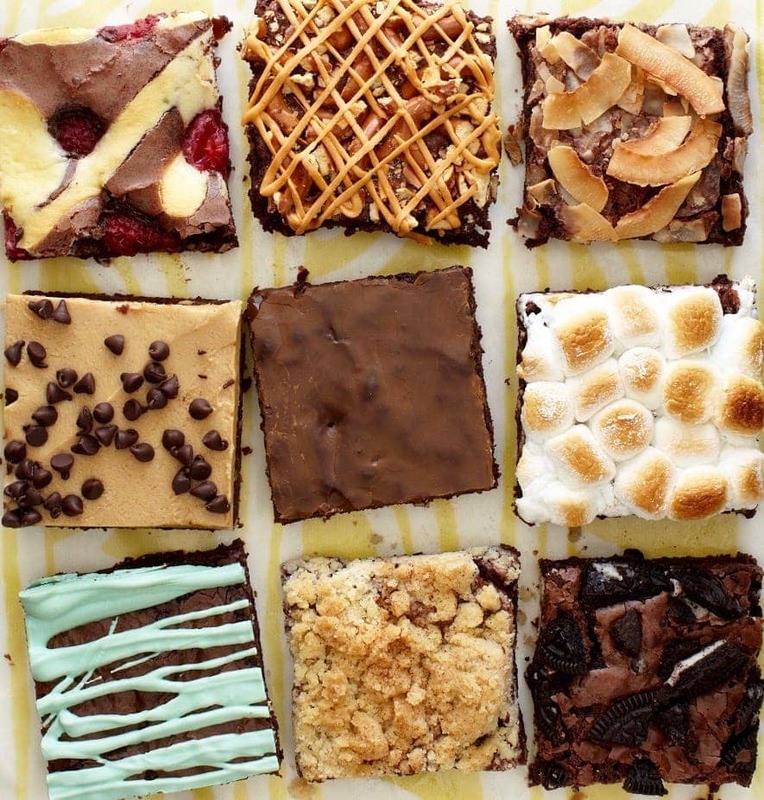 Line cookies in a single layer on a baking sheet with sides; set aside. In a medium mixing bowl, sprinkle gelatin over ⅓ cup cold water to soften. 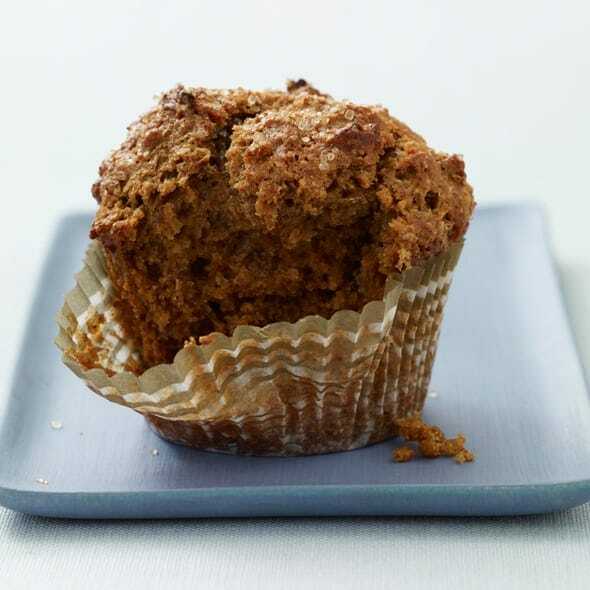 In a small saucepan over medium-high heat, dissolve granulated sugar in ¼ cup water, stirring. Remove spoon, brush inside edges of pan with water to remove sugar crystals and boil until the temperature reaches the soft-ball stage (238ºF) on a candy thermometer. Add mixture to gelatin and, using an electric mixer, whisk on medium speed for 3 min. 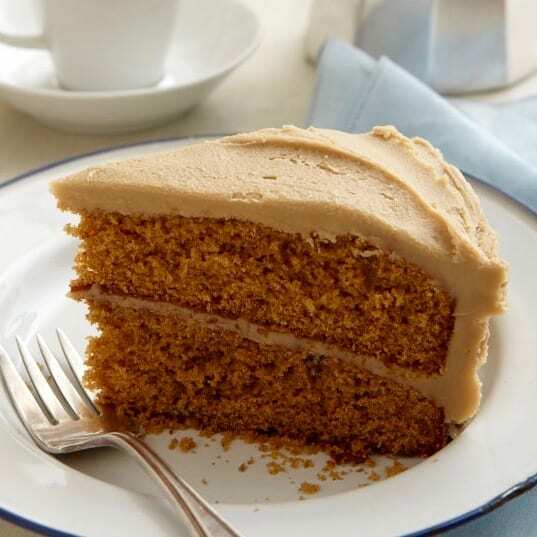 Increase speed to high and whisk until soft peaks form, 8 to 10 min. 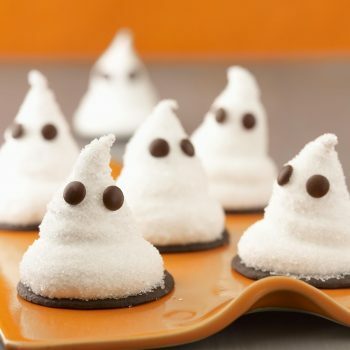 Transfer marshmallow to a piping bag fitted with a ½-inch-diameter plain tip, or coupler, and immediately pipe pointed mounds onto cookies (pipe just 5 ghosts at a time so marshmallow doesn’t set before you decorate). Working quickly, add candy eyes and coat generously with crystal sugar. 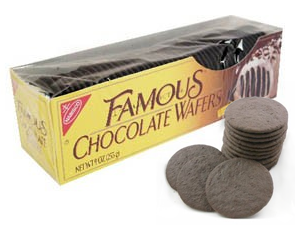 Allow ghosts to set about 1 hr before serving; store in a covered container for up to 2 days. These simple treats are sure to be a standout at your ghoulish gathering. 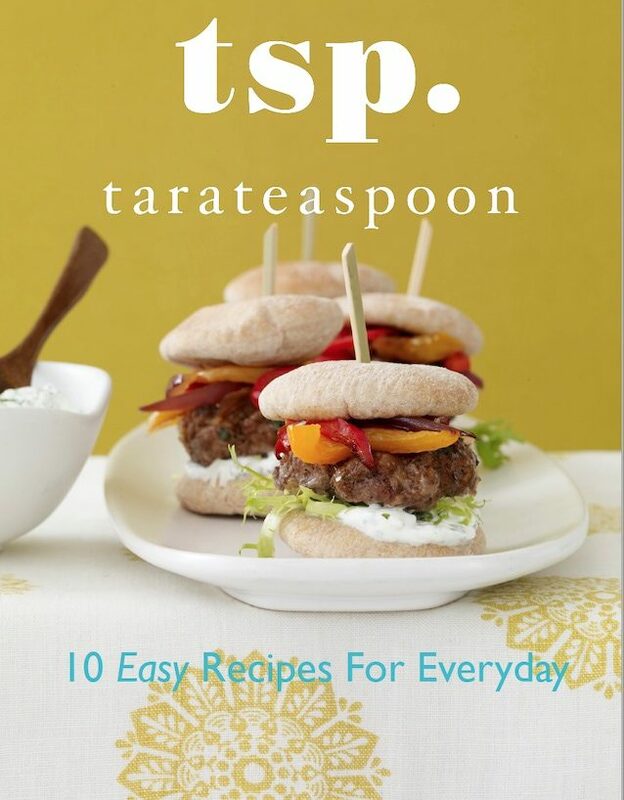 Recipe by Tara Bench. Originally published in Ladies’ Home Journal Oct/09. Photography Hallie Burton. Food Styling Joyce Sangirardi. Prop Styling Lynsey Freyers.